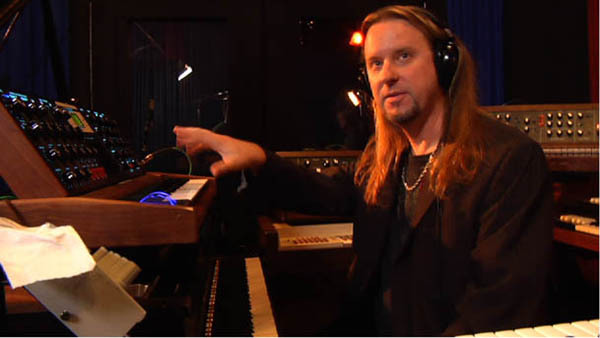 (10 July 2012, El Dorado Hills, California) The long-awaited DVD/2CD studio release from symphonic rock keyboard master, Erik Norlander, is now here. THE GALACTIC COLLECTIVE is a brand new take on the best of Erik’s vast instrumental compositions written for Rocket Scientists, Lana Lane and his own solo albums over the years. Recorded on an amazing arsenal of classic analog synthesizers (including 6 Moog instruments), Hammond organ and an incredible Steinway model B grand piano at Cleveland Ohio’s prestigious Magnetic North Studio with engineer Chris Keffer and executive producer Dena Henry along with bassist Mark Matthews, drummer Nick LePar and choral vocal sections by Lana Lane and John Payne along with a suite of guest guitarists including John Payne, Mitch Perry, Mark McCrite, Ron Redfield and Freddy DeMarco, THE GALACTIC COLLECTIVE is a must have for all fans of keyboard - oriented instrumental progressive rock. 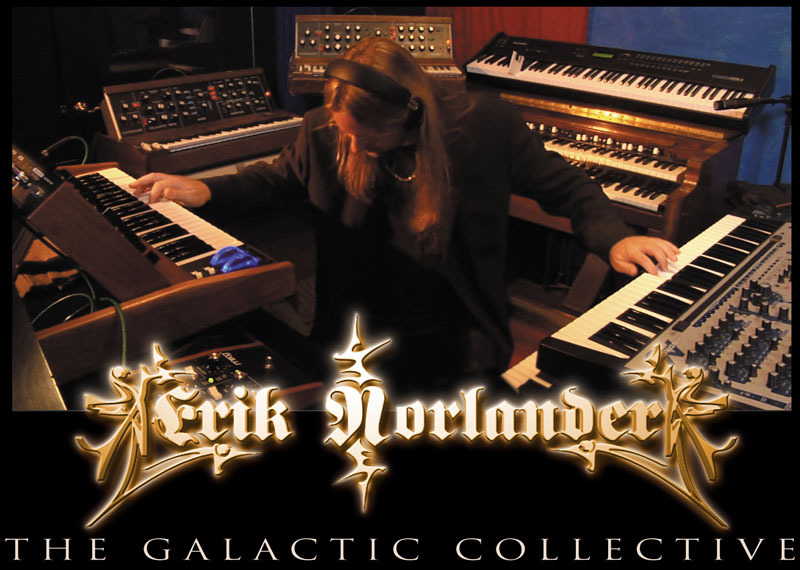 The DVD and 2CD set includes the complete album, ERIK NORLANDER - THE GALACTIC COLLECTIVE, both on CD and DVD with the complete in-studio video shot during the actual sessions (as seen on YouTube). 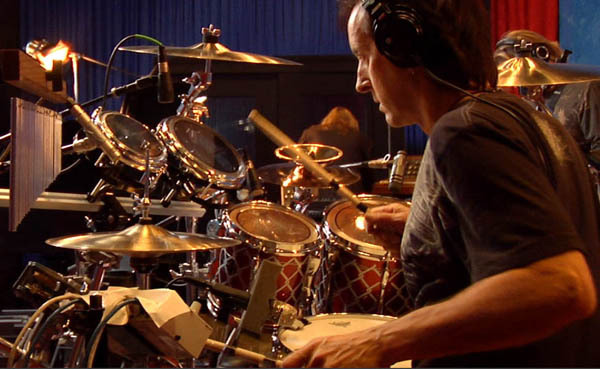 The DVD includes extensive interview footage of Erik discussing each song, its conception and new interpretation for this project. A second disc of well-crafted (not filler!) 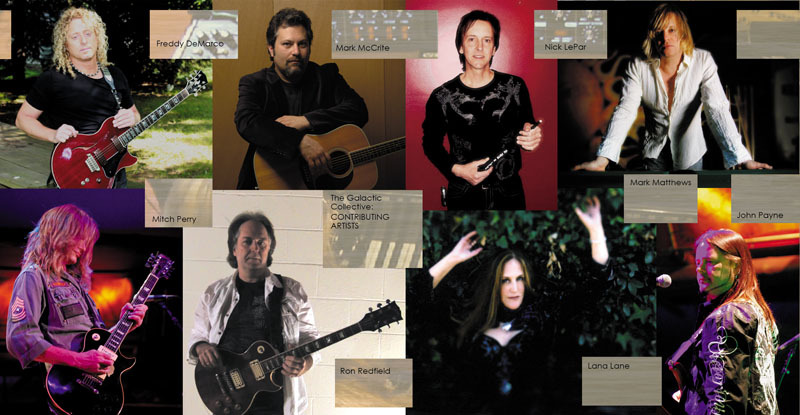 unreleased alternate versions and a new recording of Erik’s classic arrangement of “Space: 1999” makes up the second CD as Echoes from the Collective. Full color, detailed booklet with liner notes by Michelle Moog-Koussa, Executive Director of The Bob Moog Foundation and daughter of maverick synthesizer pioneer and inventor, Robert Moog. Don't miss the inevitable companion set to this product, THE GALACTIC COLLECTIVE - LIVE IN GETTYSBURG! Welcome to Erik Norlander's “The Galactic Collective”, where the realm of synthesis is nurtured and explored, where keyboards and synthesizers rise up to take the lead in telling an epic musical story of depth, texture and expressive connection, where the distinctive sound and unlimited capabilities of the Moog synthesizer grace the center of this sonic exploration. Although synthesizers were, in their early stages, initially viewed as a machines producing mechanized sounds, Moog instruments have a proven 45 year history of producing the warmest, most organic sounds of any instrument in what is now the very large field of synthesis. This was, after all, Bob Moog's intention: to provide musicians with the fullest range of sonic expression. Bob saw himself as a toolmaker, putting highly expressive, intuitive instruments into the hands of musicians. Through the tools he provided, thousands of audiences have been touched. While Bob was indeed a master of the circuits, it cannot be overlooked that his groundbreaking instruments would have remained silent if it were not for the talent and dedication of the musicians who bring them to life. Moog synthesizers were a musical baton, lovingly handed off by Bob into the creative hands of the communicators of the music, the musicians. It is said that in hands of the highest caliber, the use of technology becomes magic. Not pull-a-rabbit-out-of-hat magic, but awe-inspiring transcendental connection. Bob handed off his technological, musical baton and Erik Norlander has cradled it in his hands, skillfully, lovingly exploring the limits of sonic expression and incorporating it into his expressive, epic music. Magic. 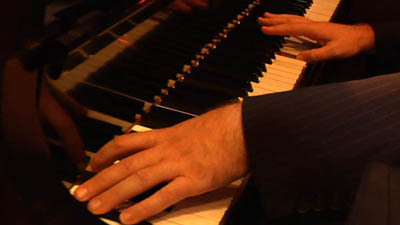 Erik's music is full of intricate use of depth and textures. This is due in part to his uncommon ability to seamlessly blend acoustic and electronic instruments. It is also due to the deep understanding of synthesis that Erik brings to his music. 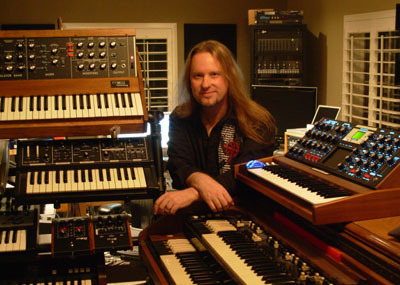 Erik is not only a life-long, highly accomplished musician, but he was also the group leader for sound design on many synthesizers for Alesis, most notably his Andromeda A6. From this combination of musical experience an technical understanding, Erik brings an added dimension to his music that can only come from someone who understands his instruments, quite literally, inside and out. 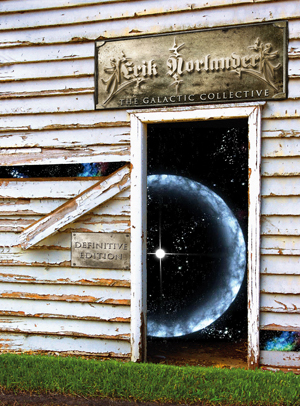 In this galactic collection of songs, which represents the best of his instrumental tracks from the rather extensive back catalog of work he has produced over the years, Erik makes great use of that use of that dimension as he pushes his own rich arrangements and virtuosic playing to new heights. Drawing from a bevy of incredible instruments including a Steinway grand piano, a Hammond B3 organ, the Andromeda A6 and six Moog synthesizers (4 Minimoog Model Ds, the Minimoog Voyager and Erik's massive Wall of Doom Modular Moog synth) and from a core of talented musicians, Erik has created a new expansiveness in every track. 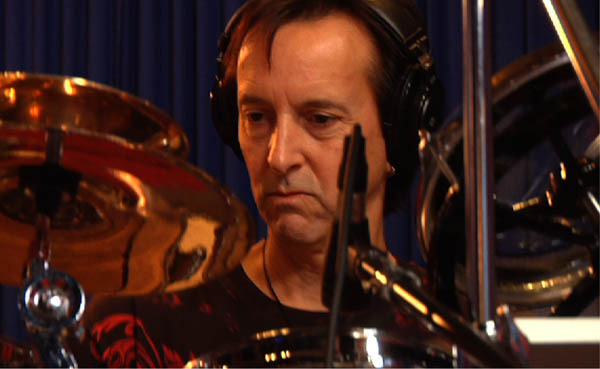 From his vast catalog of music, Erik reaches as far back as his first solo album, Threshold (1997), from which he pulls Arrival, Neurosaur and Trantor Station. These three tracks exemplify the range and reach that he obtains from this newly translated material. While Arrival's ethereal theme is deepened, Neurosaur boasts new gothic intensity and Trantor Station gets new electronica treatment in the beautifully sequenced intro. 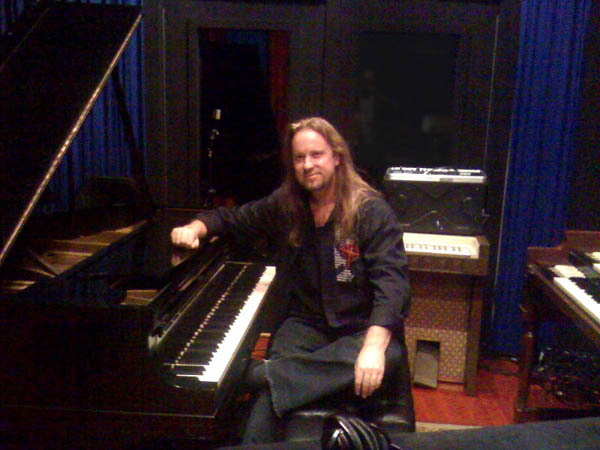 In more current material, Erik enjoys his musical roots in the reinterpretation of his piano-drenched tracks in After the Revolution (Rocket Scientists, Revolution Road, 2006) and Dreamcurrents (Into the Sunset, 2000). From the many Lana Lane albums, Erik carefully selects Garden of the Moon (Garden of the Moon, 1998) and Astrology Prelude (Secrets of Astrology, 2000) and expands the arrangements with heavier use of synthesizers, killer guitar riffs and completely new themes. 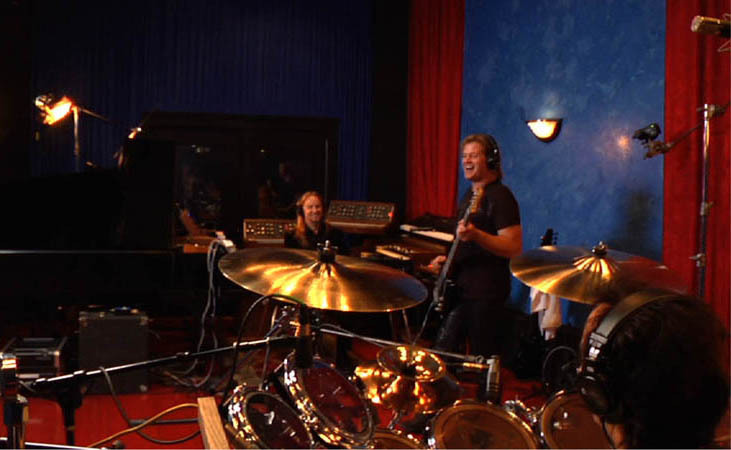 The album’s conclusion, The Dark Water is a lush and epic tour de force comprised of merging themes from the Rockets Scientists’ (Erik's band) Dark Water series that runs through their second, third and fifth studio albums. All of these reiterations occur while Erik manages to maintain a wonderful symphonic rock ethic. In listening to every track on this album, we can hear that Erik is on a quest. 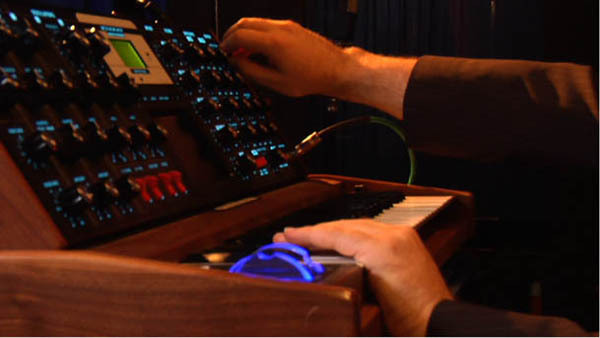 Just as it was Bob Moog's quest to create total expressivity through his analog circuits, it has been Erik's quest to use that technology in a supremely musical way and to add complexity and interest to his already multi-faceted compositions. He is constantly pushing the barriers of his own musical foundation to achieve that. This quest gives us all a new way to experience Erik's music, his story, his magic. 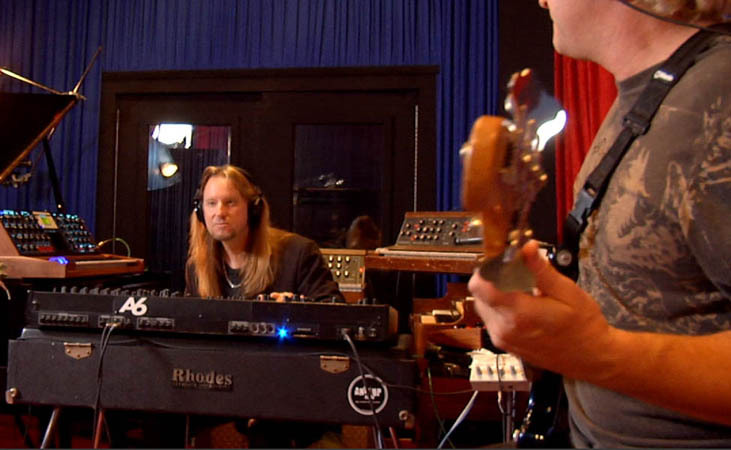 In all of the songs on this album, the Moog synthesizer is Erik's voice, to one extent or another. 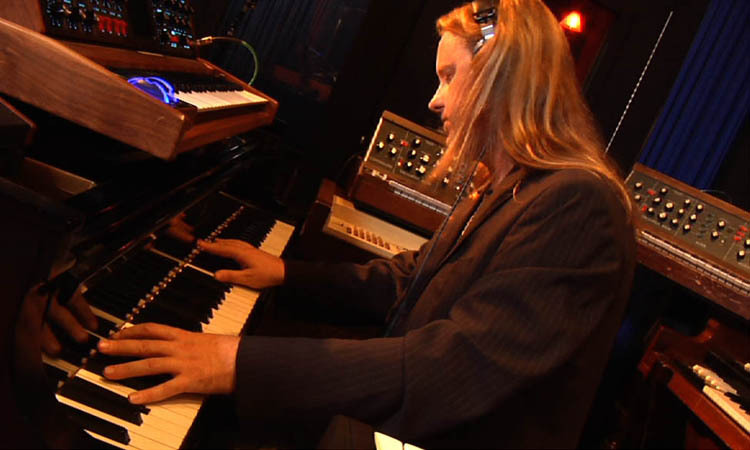 He often uses the Minimoog to such great effect in his beautiful leads that he makes the instrument sing. Erik manages to coax such musical flexibility out of the circuits that the results sound human. The fact that Erik uses the richness of Moog instruments to shape his soundscapes speaks to to his dedication to the integrity of sound. It is just this dedication that has made him such a great friend of the Bob Moog Foundation. We discovered Erik at Moogfest in NYC, and he quickly became a supporter of our mission to carry Bob's legacy forward by educating and inspiring people through the electronic music. Whether bringing instruments into elementary schools to teach kids the science behind electronic music, preserving and protecting Bob's archives or working on our future project, the Moogseum, Erik has been an ardent supporter. While his contributions to the Foundation have been many, perhaps Erik's most notable effort is an original song all-Moog song that he composed for us, called The Princely Hours. 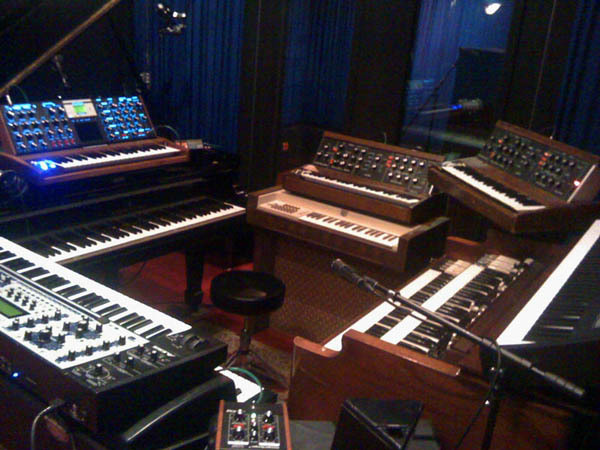 Using five Moog Instruments, and only Moog instruments, Erik created a tribute to the Moog sound and Moog Legacy. You can hear and download this song exclusively in the “Shop” section of our website www.moogfoundation.org. The Bob Moog Foundation proudly honors the dedication to the Moog sound that Erik has demonstrated throughout his career and as we hear it so beautifully expressed through The Galactic Collective. How fitting it is that Erik has included Fanfare for Absent Friends (from his Seas of Orion CD, 2003) among this collection. Both the name and the music itself, with its stirring, aching intro which longs for the spirits of the departed and its triumphant celebration of lives well-lived, conjure up thoughts of a certain beloved absent friend who was, in fact, a friend to music itself. Somewhere in the ether, that friend has the satisfaction of knowing that his work, the baton he handed off, is being carried forth with grace, intention, creativity and a healthy dose of magic by Erik Norlander.